Mid to large sized organizations have demonstrated several trends, some which have been highly beneficial for their internal and external repertoire. When exploring the concept of marketing strategy and organizational strategy as a whole, learning from use trends of social technology can help enhance the decisions that can be made within your organization. Successfully utilizing social technology has been proven to lower marketing expenditures and increase intellectual capital. Even though the years past has brought on a lot of changes and slow transitions into the social tech the circle, the overall adaptation has met its peak. There is a visible plateau when you examine the choice of use of social technology. The beginning stages started with companies experimenting with sites like YouTube to reach younger consumers whereas no some have launched initiatives that co-create the technology strategy in using their own targeted demographic pathways. For broad communication, the staple platforms in social tech stand firm. On the social networking side it remains sites such as LinkedIn and Facebook, tied with integration of micro-blogging platforms such as Twitter. With the traditional blogging platform, the common habit is to have a strong beginning fueled with enthusiasm, followed by slower updates of great information. The view towards blogging is that it is becoming one-dimensional, despite the heavy opportunity to carve strong niches for one’s brand still existing. Successful companies who blog accomplish this by creating a surplus of high quality value information that is accessible to all. Wiki’s and sites with a similar function have had less of a positive impact on the marketing dynamics for brands. Social technology platforms have a proven proof of concept by constantly expanding their integration methods across platforms which allow companies to interact with customers. Linking those same customers on networks where the organizations employees and outside stakeholders can engage, is the hidden benefit of these platforms that can be missed without exploration or inside knowledge. How Does the Successful Use of Social Tech Platforms Effect Budgets? Having a social tech expert on staff is a good move for companies who what to confirm, establish, enhance and protect their brand from becoming obsolete. 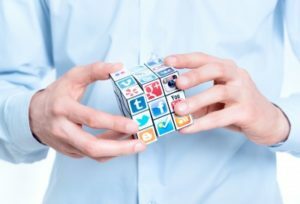 Without experts, the use of social platforms can have a negative impact on your organizations image and increase your marketing budgets respectively. Investing time and money into a strategic marketing plan centered on social technology should be an element in all mid to large sized corporations as the technological age advances. Finding your place where relevancy leads, and not purely your amount spent on the “best billboard” is what is going to have the most effect on your bottom line. Social technology allows an organization to not only engage with their supporters but also establish their space. Finding one’s space consists of having a relevant brand, voice and relationship with the right individuals. Business is about relationships and people; if your efforts do not bring value to what people need, staying relevant will be impossible online. Social technology can allow the human element to solidify consumer to business relationships. The use of social tech in the best manner for your organization is worth obtaining expert advice and counsel. Most social technologies also provide real time analytics. Data supports facts. Facts support decisions. Analysis supports strategy. Social tech is one of the best live tools for marketing which allow companies to make strategic decisions based on facts without wasting a lot of time. Use of these platforms allows companies to eliminate or revise what is not effective, without taking a financial hit. Another bonus in the marketing effort of blogging is that you will be able to create content which can add to intellectual capital. All of these elements bring value to your budget as oppose to chewing it down.